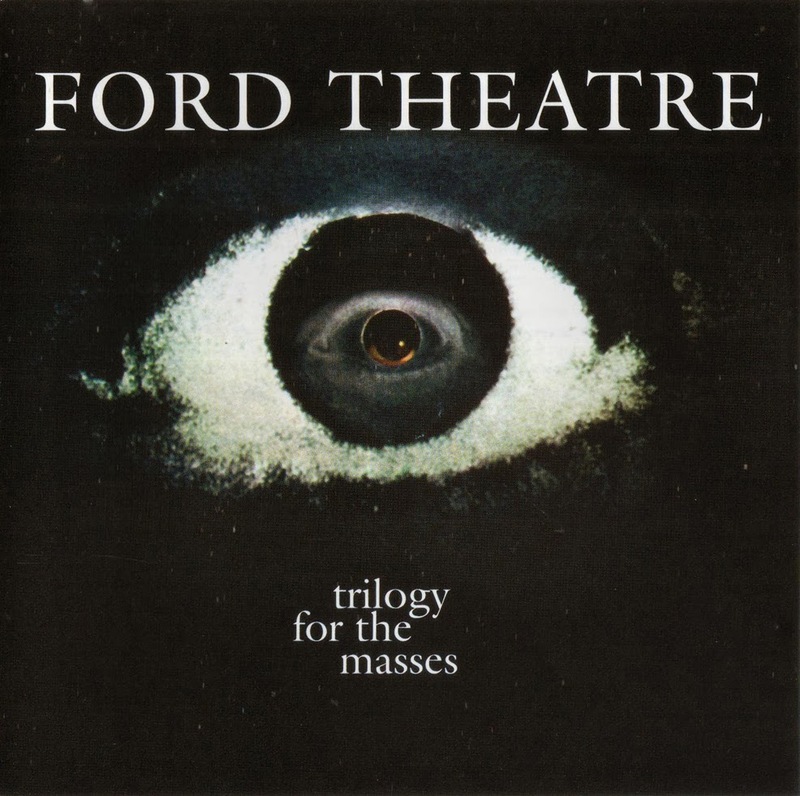 Three Man Army was a British hard rock band of the early '70s, playing period guitar-slanted music that sounded like warm-up fodder for bigger stadium acts. 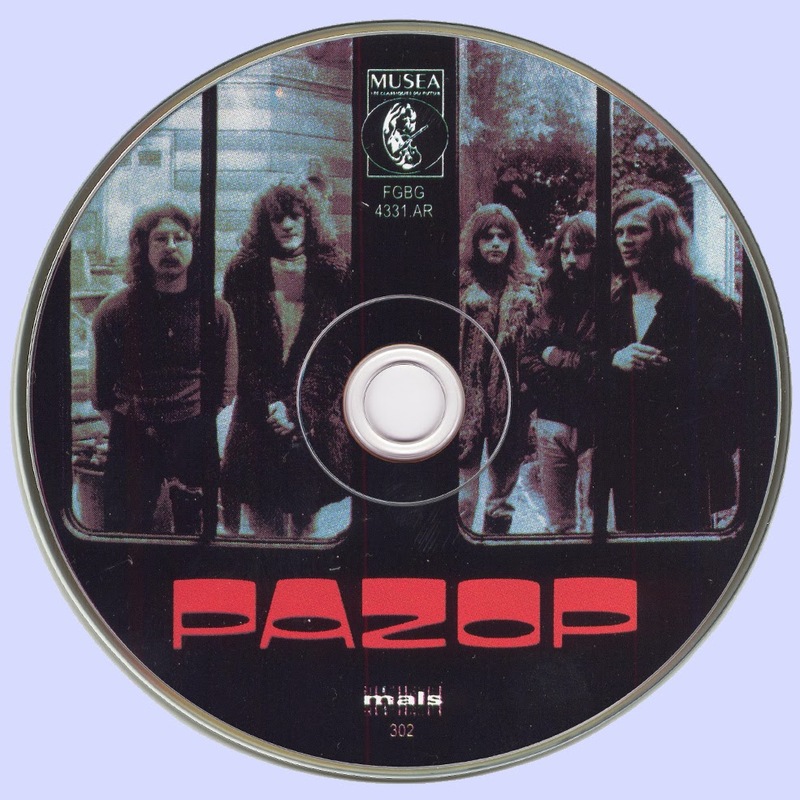 The constants in the lineup were Adrian Gurvitz and Paul Gurvitz, both of whom had been in Gun. After Gun expired, Adrian went to America to play with Buddy Miles, while Paul formed Parrish & Gurvitz. 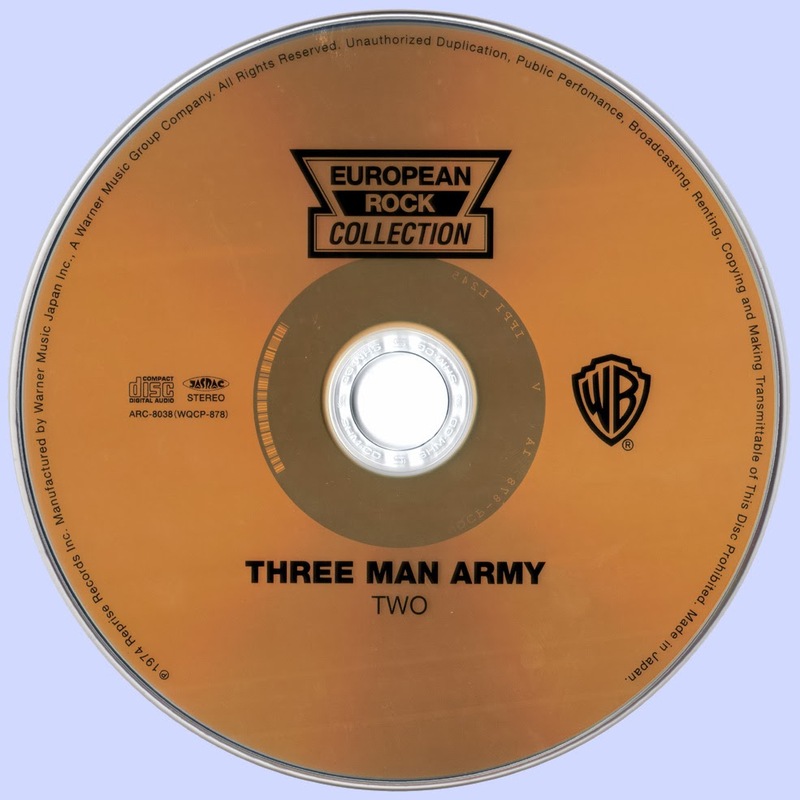 The pair reunited, however, to record the debut Three Man Army album, A Third of a Lifetime, using several different drummers (including Miles, Carmine Appice from Vanilla Fudge, and Mike Kellie from Spooky Tooth). Tony Newman, formerly of Sounds Incorporated and the Rod Stewart Group, joined for the next (and final) two Three Man Army albums. While there were rehearsals for a fourth LP, it was never started, as Newman left to join David Bowie's band and the Gurvitz brothers teamed up with Ginger Baker to record three albums as the Baker Gurvitz Army. 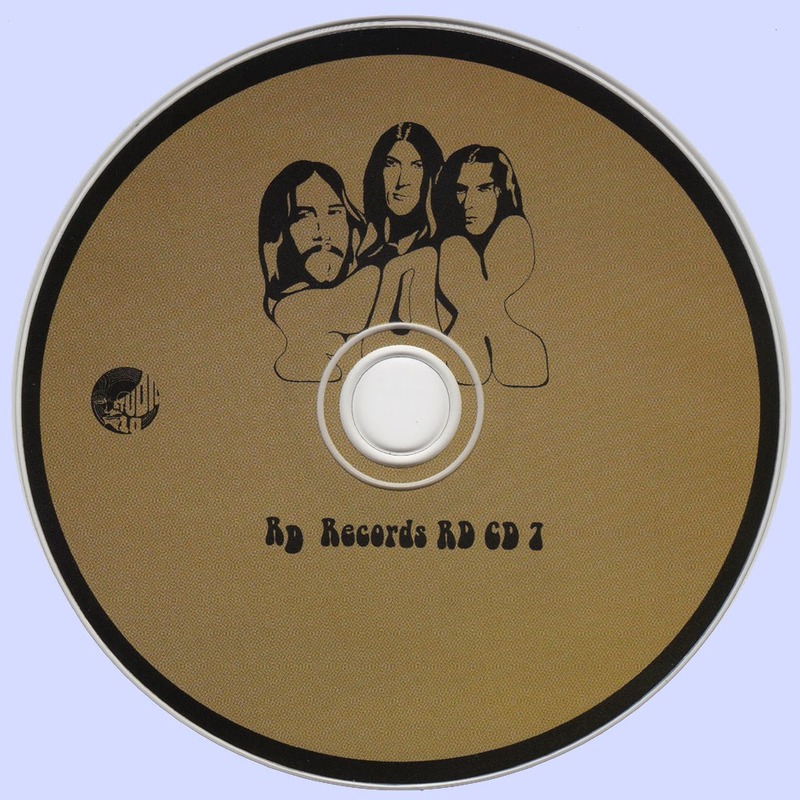 "Two" was their third and final studio album released in 1974. *Tony Newman - Drums, Percussion. More than four decades ago, a teenaged guitar phenom named Phil Keaggy burst onto the music scene. Keaggy and childhood friend and drummer/guitarist John Sferra were joined by bassist Dan Pecchio in Glass Harp, recording three albums for Decca before dissolving the band in 1972 when Keaggy was only 21. 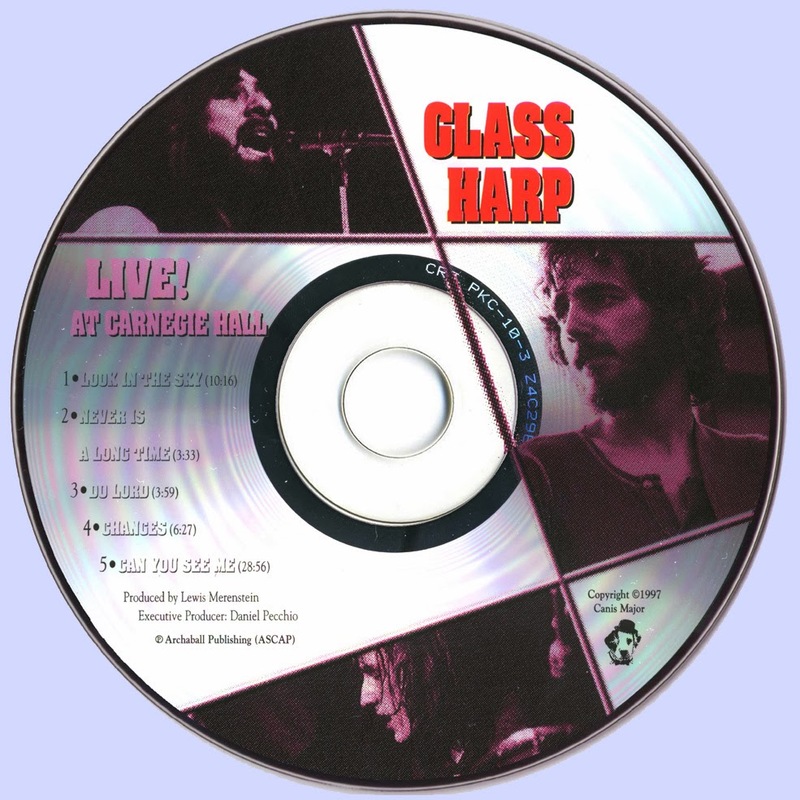 The band has reunited briefly for several concerts over the years, but rumor has it that the final Glass Harp concert will be July 27, 2002 at the Creation West festival in George, WA. (Note: Happily, that turned out not to be the case, and Glass Harp has continued playing and recording.) 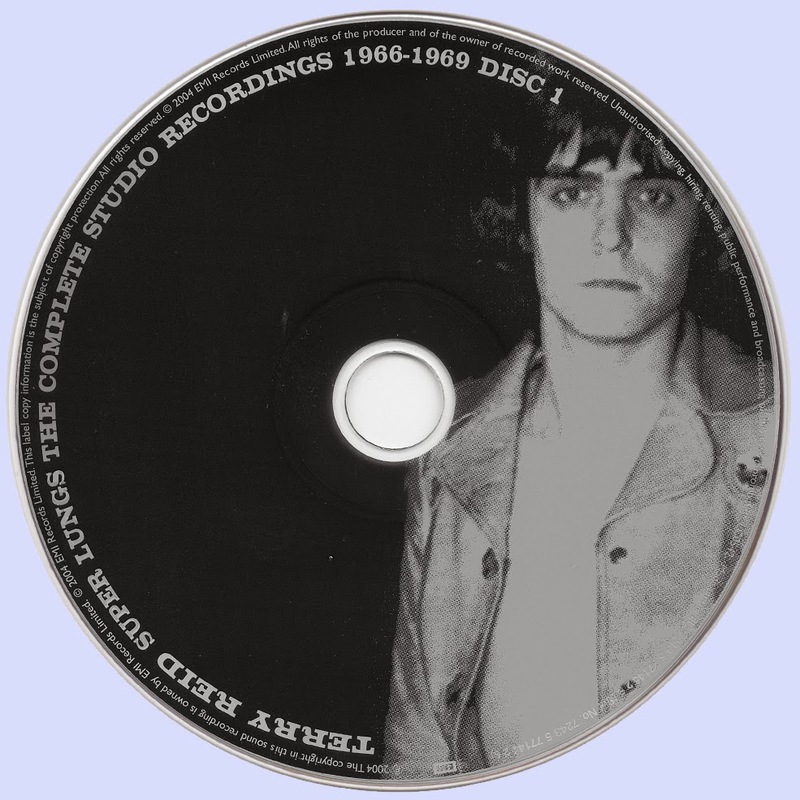 To commemorate Glass Harp's legacy, we're looking at a special album in the band's history. 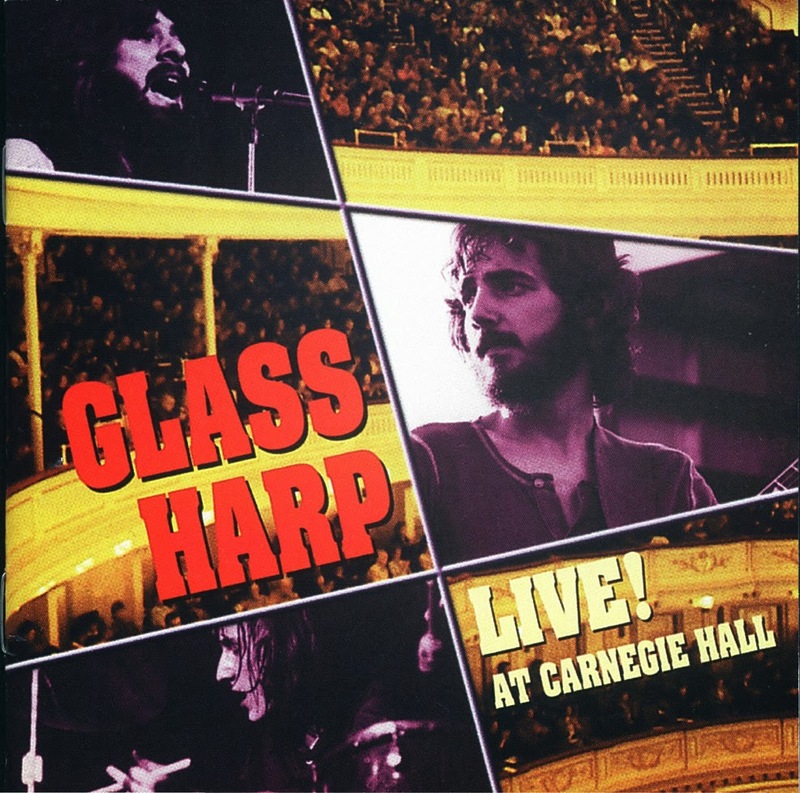 A major highlight for Glass Harp was opening for The Kinks at Carnegie Hall in November 21 of 1971. The concert was recorded, but for some reason remained buried until 1997, when Live! At Carnegie Hall was finally released. It could be disappointing to see that this recording has only five songs, but when you realize that Look in the Sky is over 10 minutes and Can You See Me checks in at just under 29 minutes, it should be time to rejoice. This is a great CD for all Keaggy/Glass Harp fans, or anyone else who loves vintage early 70s extended jam sessions. 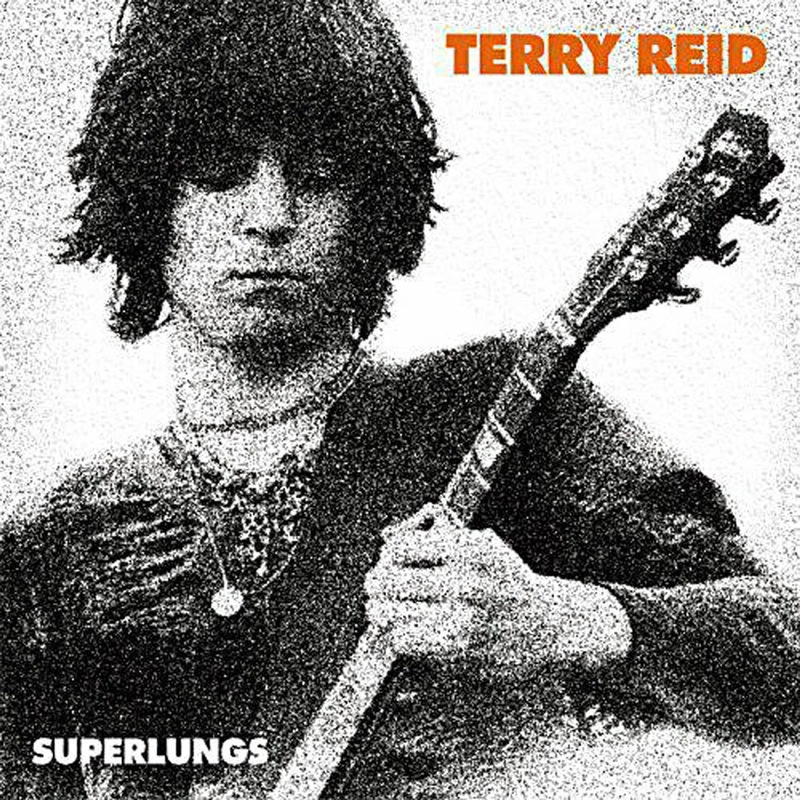 The recording quality is excellent, and the band is amazingly good when you consider how young they were--Sferra was 19 and Keaggy just 20, but his patented volume swells and lightning licks are already evident. 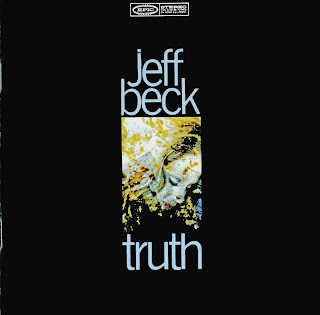 The final song, Can You See Me, features solos by all three band members (Pecchio's is a flute solo) and incorporates the song One Day At A Time before ending up the set with Keaggy's uncompromising lyrics: "Jesus died for you and me/that we may live eternally/through Him there is a peace we can share." Consider that Keaggy wrote those lyrics in 1970 as a brand-new Christian, a teenaged rising rock star about to record his first album, and you realize just how bold and uncompromising he was. He wasn't about to water down the message when he had the opportunity to play Carnegie Hall. This South African psych-pop rarity was buried so far beneath the drifts of history that even the skilled archivists of the Shadoks label had a hell of a time digging up the original recordings for reissue. 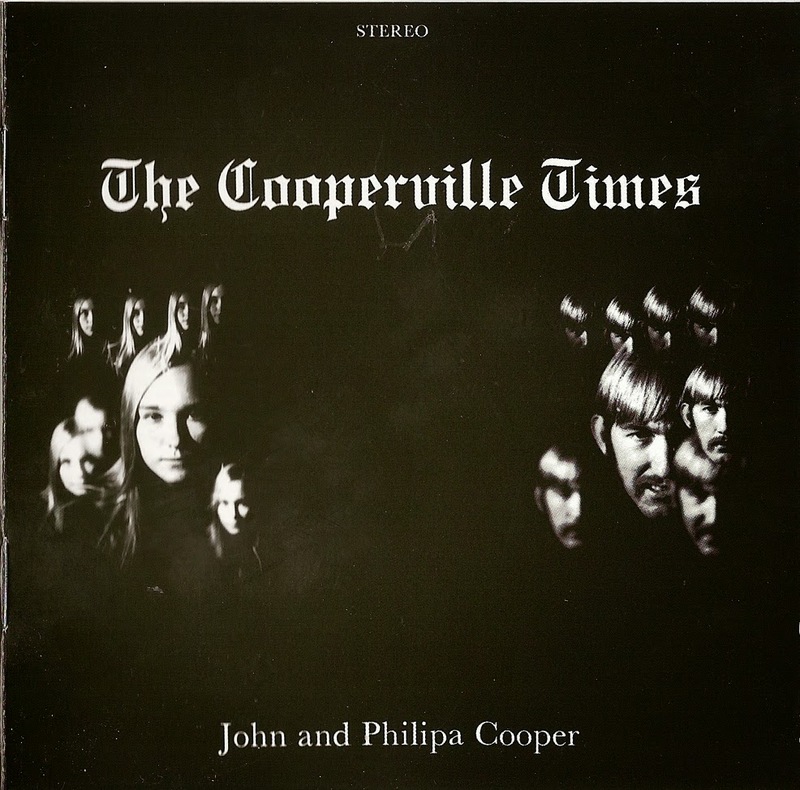 Recorded right in the psychedelic sweet spot of 1968 and released the following year, The Cooperville Times is the only album by brother-and-sister duo John & Philipa Cooper. It blends the pop and folk ends of the ‘60s U.K. psych spectrum, with John leaning toward the former and Philipa toward the latter as they alternate lead vocals (there's not a lot of two-part harmony on the album). All the hallmarks of the paisley-patterned era are here -- Baroque bits of harpsichord accompaniment, pastoral flute lines, tremolo guitar -- just the sort of touches guaranteed to make psych collectors foam at the mouth. 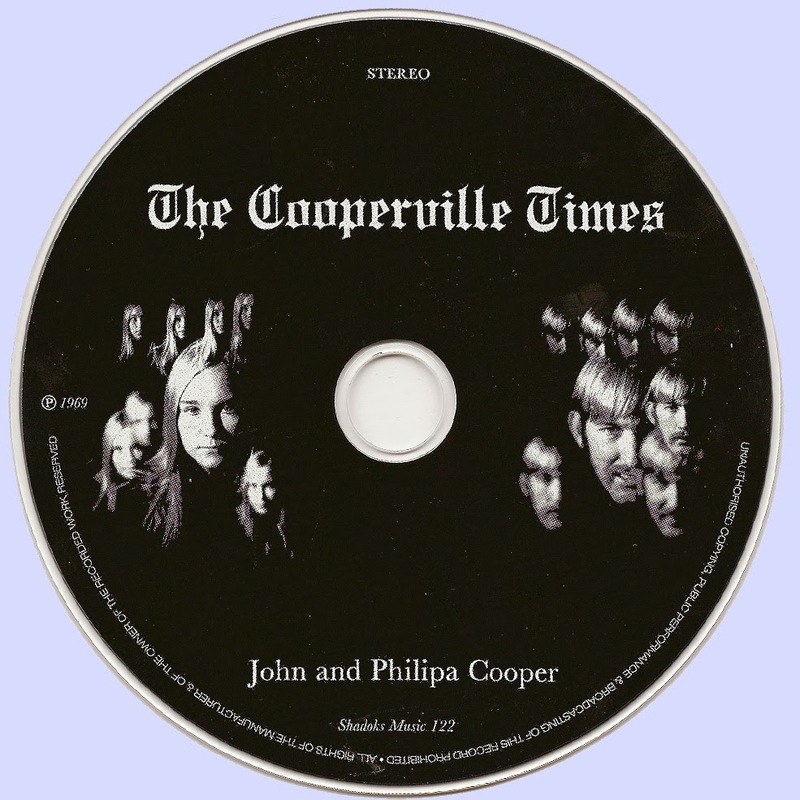 And in a genre where obscurities sometimes tend to remain obscure for a reason, The Cooperville Times proves to be a quality piece of work, with John Cooper's songcraft standing apart from the pack. 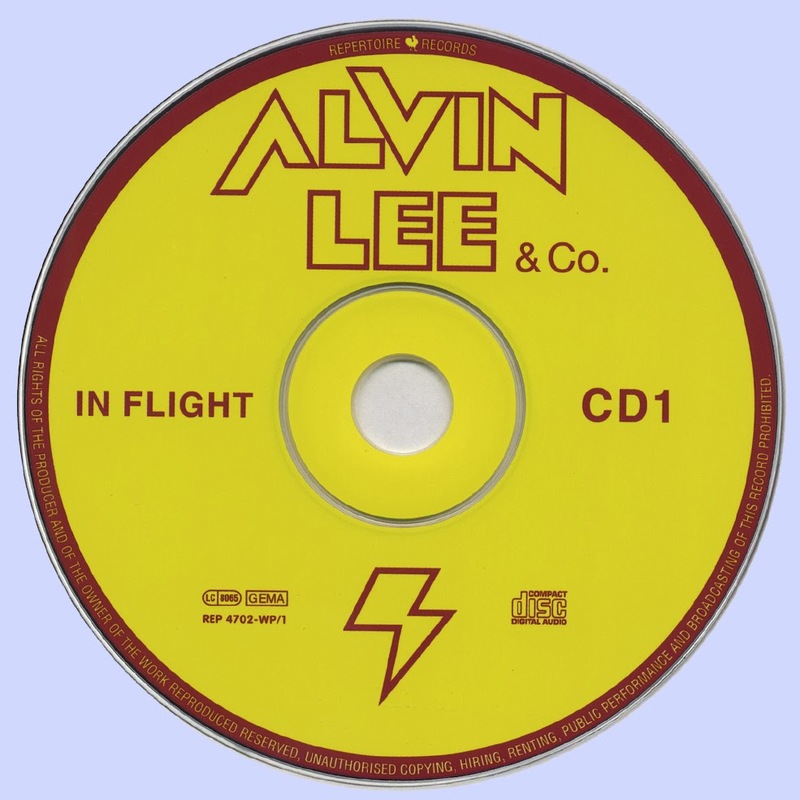 And while he's got a strong melodic sense with memorable hooks to spare, his lyrics are particularly meritorious; on the surface, they seem to delve into the trippy, canyons-of-your-mind territory so common to psychedelia, but a closer listen reveals that Cooper has a well-developed sense of poetic imagery, and a gift for surreal settings. When he sings about the "Man in a Bowler Hat," for instance, he's in keeping with the surrealist tradition of the legendary Magritte painting that is the song's namesake. And though he's an effective singer, things take a particularly striking turn when his sister steps up to the microphone; her haunting vocal style is very much in line with the work of contemporaneous U.K. psych-folk sirens like Jill Child of Midwinter and Alison O'Donnell of Mellow Candle. After the inclusion of two songs on “Astral Daze Volumes 1 & 2” some people began looking for the original of this forgotten album. After a few poor bootlegs this finally has been reissued carefully. 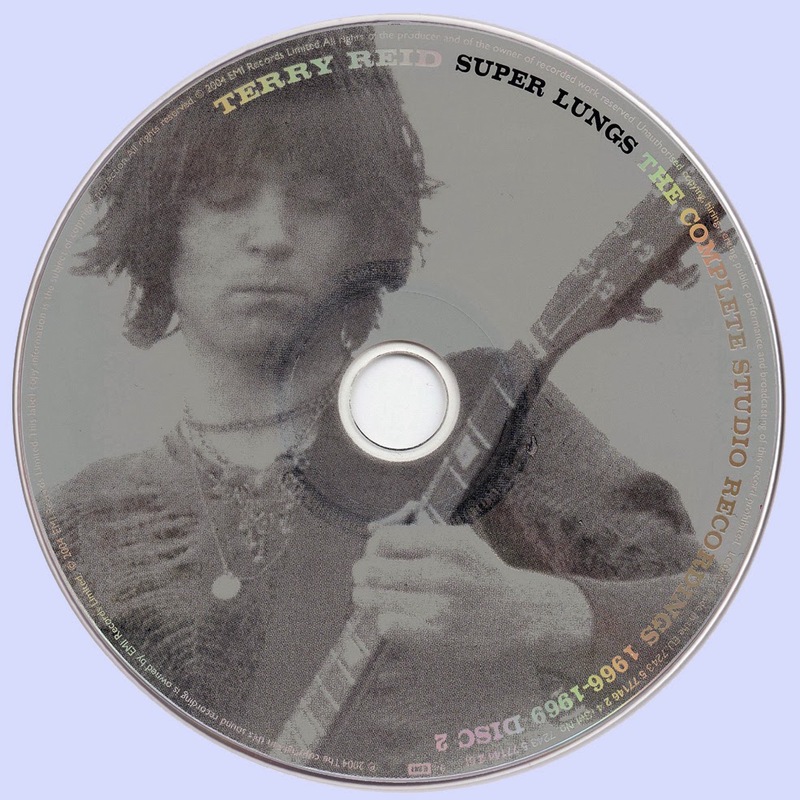 It sounds very different from the general South-African scene, and sounds to have roots in the other English territories, especially the UK, varying from early Jefferson Airplane harmony folk-psych (one track) to English acid folk (some mentioned Ithaca). Many songs have certain lullaby-balladry with happy rhythms, some baroque arrangements of an instrument that sounds in between a piano and a harpsichord, lots of acoustic and electrified acoustic guitars and soft percussion. 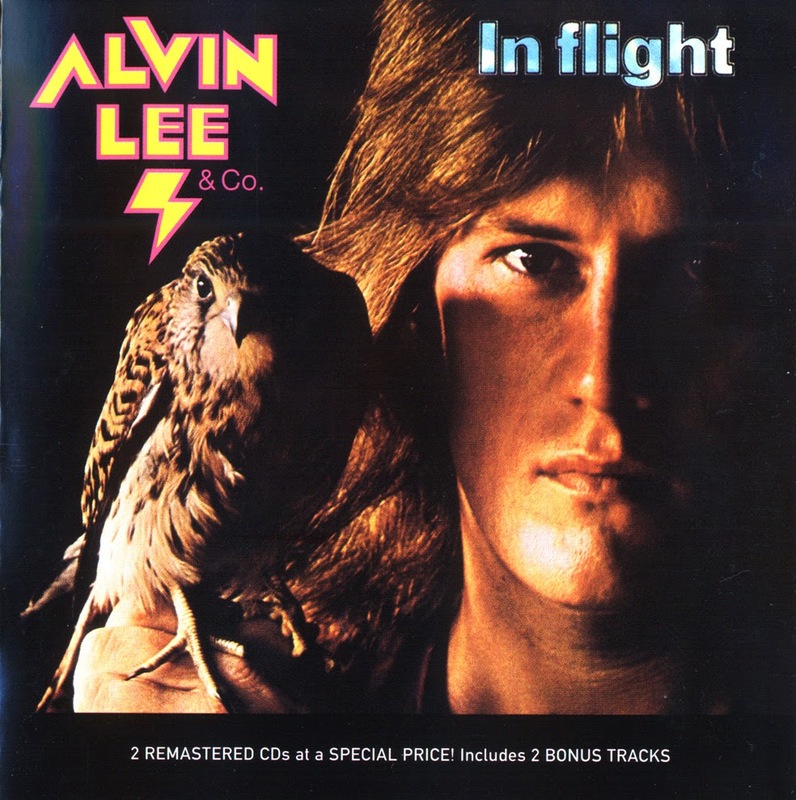 With just one track a bit rockier with electric guitar. Apparently Julian Laxton (Freedom’s Children) was involved in the recording even when nowadays he can’t remember the album, band or session. There’s some near-classical improvisation on violin with a gypsy association on “Gypsy Girl”. 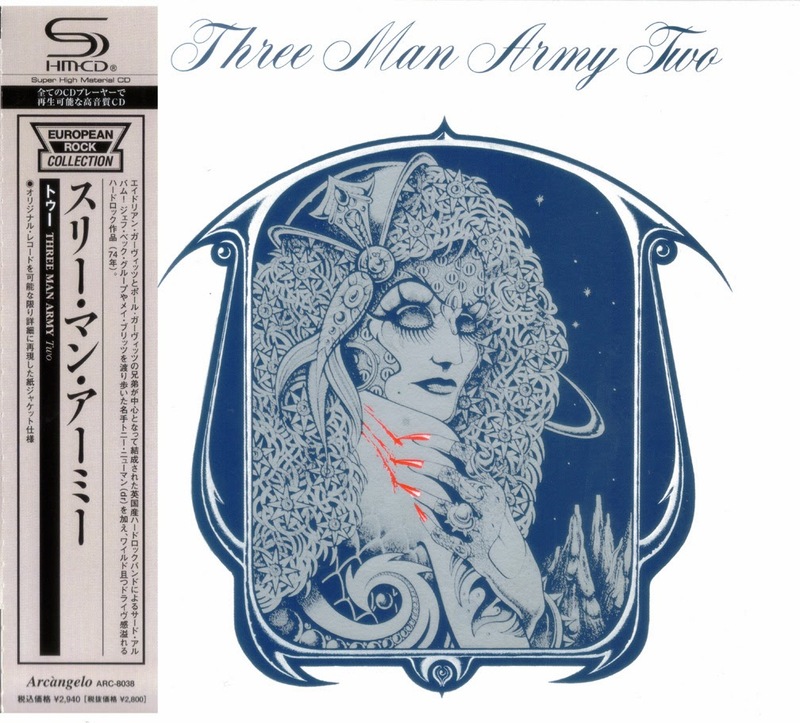 Some of the songs by the often more high toned, hippie-flavoured voice female singer sound much folkier, and remind of the Incredible String Band songs performed by Licorice McKechnie. The album is a real discovery and fits well amongst the classics of English acid folk/folk scene. The songs are all pretty short but are carefully arranged. Tarbaby was a very popular local band in the early 1970's in and around the Tallahassee area. Pat Muth, Brewster Banks, and Wally Knoelke had their own style of music that was fresh, raw, and original. Lay back and listen to some of the best music to come out of the Florida panhandle in the early 1970's!! 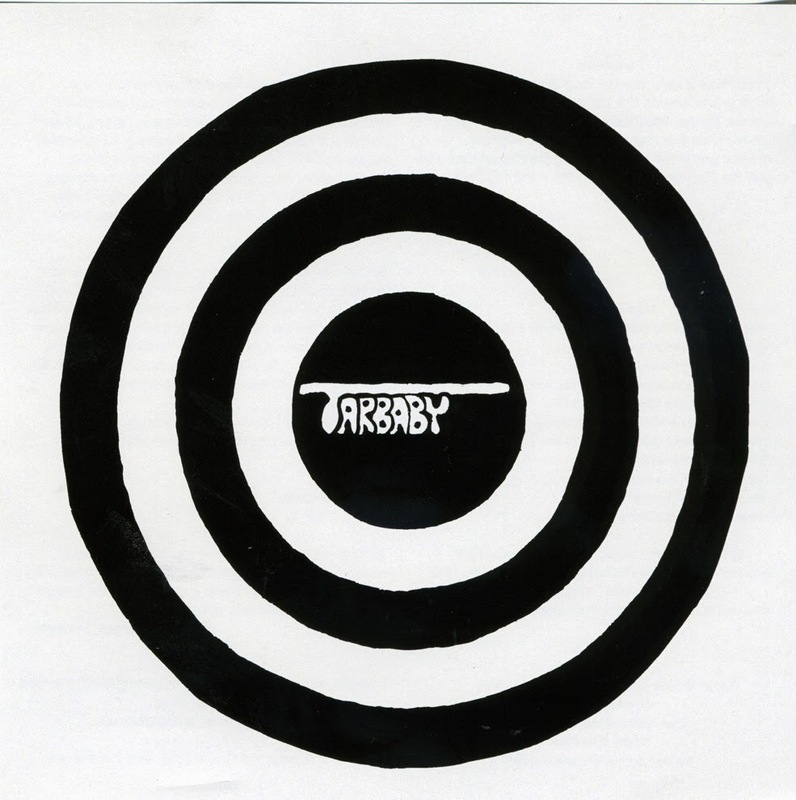 Tarbaby released the "Bullseye" album in April, 1973 in Tallahassee, Florida. 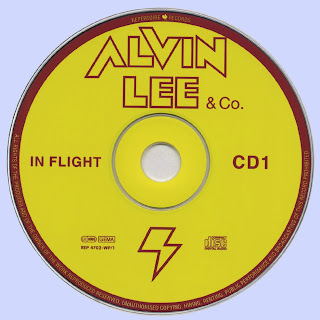 The three piece group played in and around Tallahassee and the Southeast with the song "Gotta Find Me a Woman" reaching into the top 20 in Panama City and the top 5 in Tallahassee. They performed with Eric Carmen and the Raspberries in Panama City and were the featured entertainment for the Coral Gables Junior-Senior prom at the Biltmore Hotel in Coral Gables, Florida in June, 1974. Tarbaby pursued separate careers in late 1975. Since then Patrick Muth formed the Band "Crybaby" (1976-1960), and since 1980 has been playing under the name "The Cove Hotel Band" out of Panama City. Brewster Banks released 8 more albums under various names. Waliy Knoelke still plays the drums everyday. All songs by Brewster Banks and Patrick Muth, except where noted. 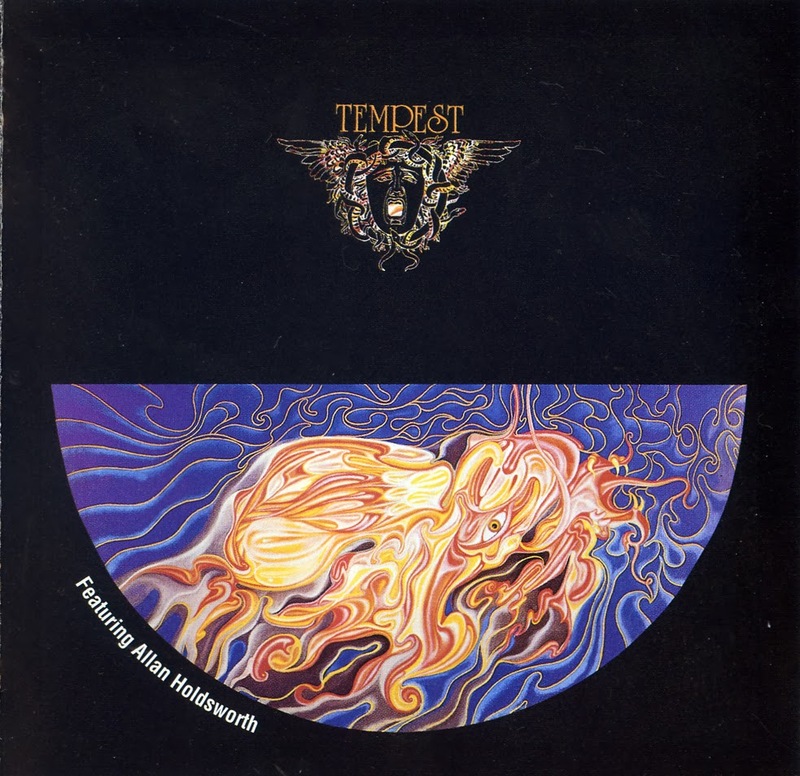 Holdsworth and Williams left before Tempest’s second album "Living In Fear". Their replacement was more than a match for any musician. Ollie Halsall was a fine vocalist and keyboard player and it is certainly a measure of the rrtan that he replaced two musicians by himself. The recruitment of Halsall was a slight move back towards jazz (ironically in view of Allan Holdworth's subsequent jazz-orientated career with Gordon Beck, Soft Machine, Gong, Bruford, and solo). 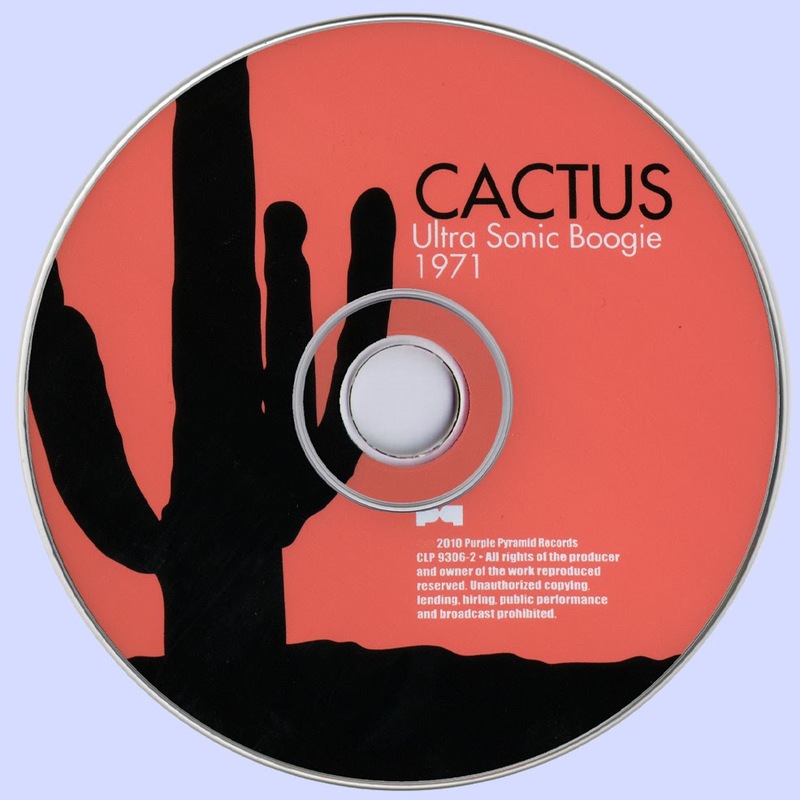 He had begun his career in Timebox, a soulpop group featuring the brilliant vocalist Mike Patto, who cut several sides for Pye and Oecca, moving from soul to psychedelia (and often showcasing Halsall's excellent vibes playing). 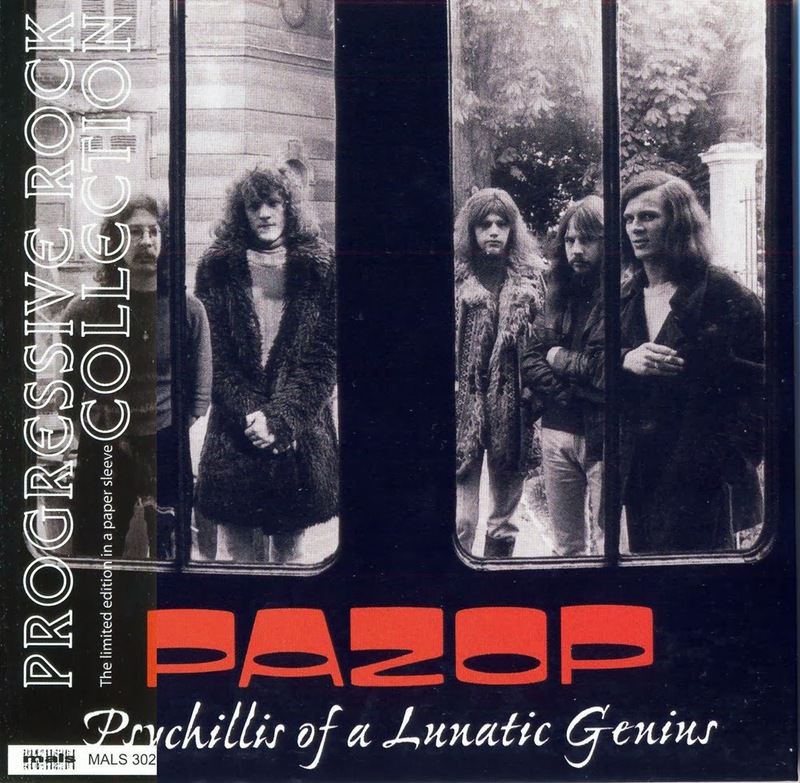 Weary of lack of success, they changed their name to Patto, and cut a string of equally unsuccessful but absolutely brilliant jazz-rock albums, wherein Ollie Halsall became a by-word for fiery jazz soloing with an avant-garde edge. 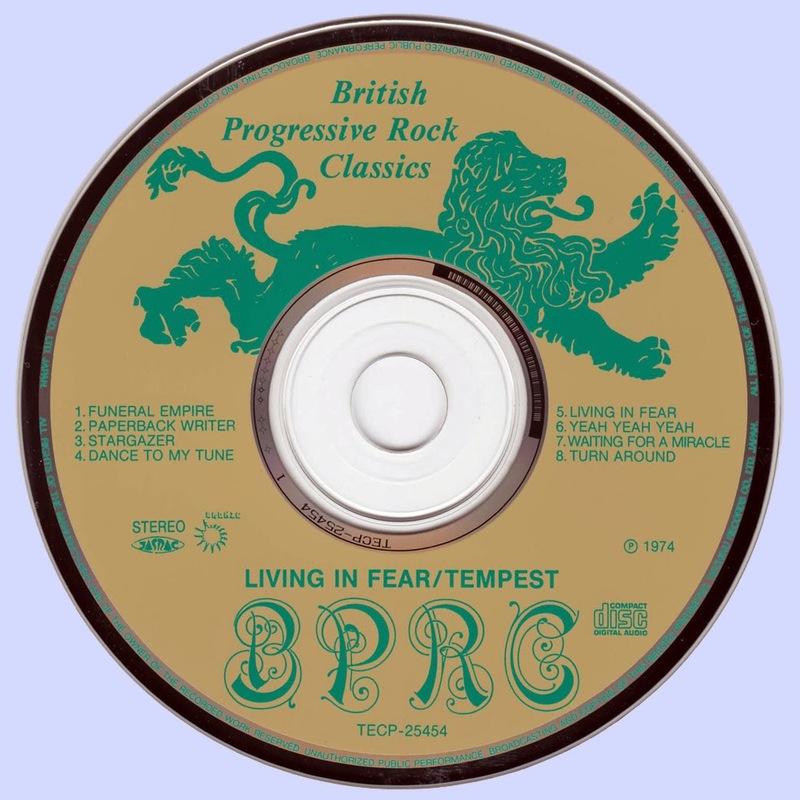 So "Living in Fear" was no less of an album that its predessor, but was a different beast. One again, Hiseman and Clark laid down complex rhythms over which Halsall laid down some startling textures. 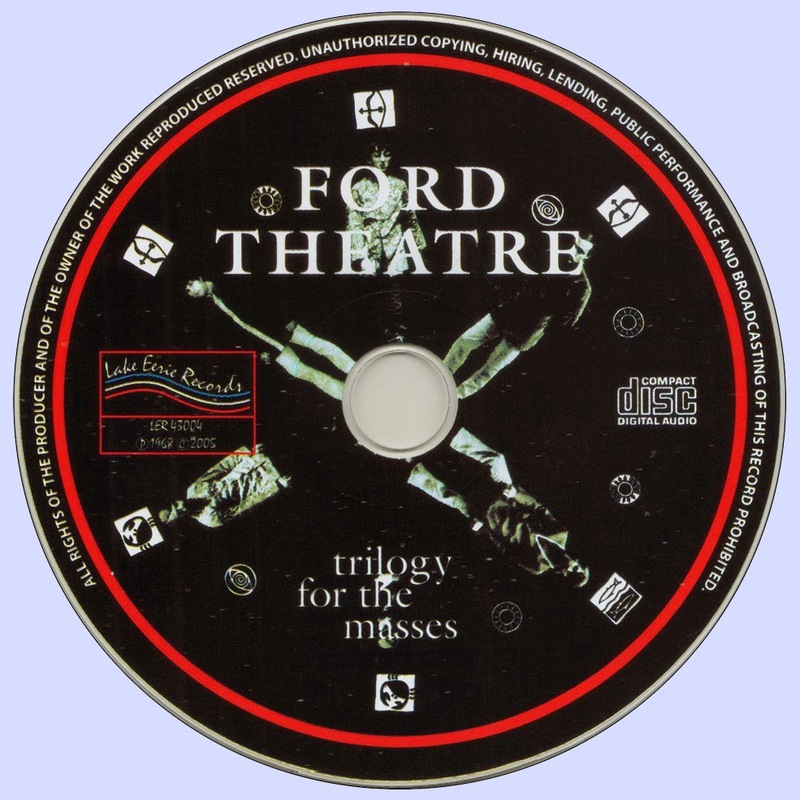 Unlike "Tempest", it is an album which has dated well. 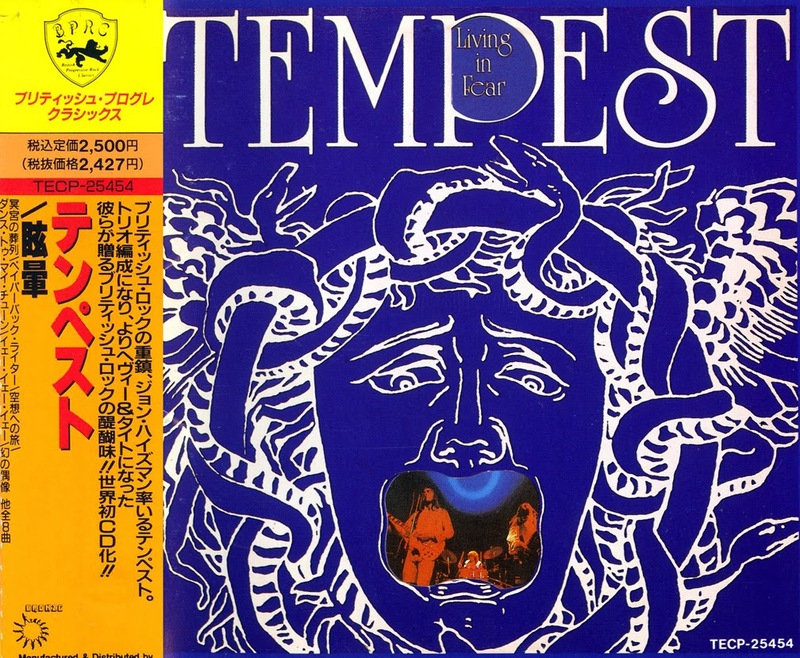 That is not to say that the first album sounds old, but rather to say that the second Tempest line-up achieved a kind of timelessness. After a short but interesting career (like getting mobbed at the Venice Festival in '75. In recent years, he has played mainly jazz, and is still partially recovering from a heart attack suffered in 1988. Mark Clarke went on to work with Uriah Keep and Rainbow, while Ollie Halsall formed Boxer with Mike Patto, worked on Eric Idle's "The Rutles", and became more left field than ever. But we still have the music: "Grey and Black", "Funeral Empire", "Waiting For a Miracle", and "Brothers" still sounds great today! When Jon Hiseman split Colosseum in 1972. he resolved to take the rock aspects of his music to their logical conclusion. To this end he retained the services of Mark Clarke on bass/keyboards/vocals, who had been with him in the last Colosseum lineup; his rock intentions were signalled by the recruitment of Paul Williams on guitar/ keyboards/vocals, who had previously seen service in Juicy Lucy and Zoot Money's Big Roll Band. The fourth member of the new band was Allan Holdsworth on guitar/vocals/violin. Holdsworth was a rock guitarist with jazz leanings (rather than vice versa), and in a sense this definition tells you the difference between Tempest and Colosseum. It was in this band that Allan Holdsworth came to critical attention, his only previous recorded outing being an album with the band Igginbottom's Wrench on Deram in 1969. 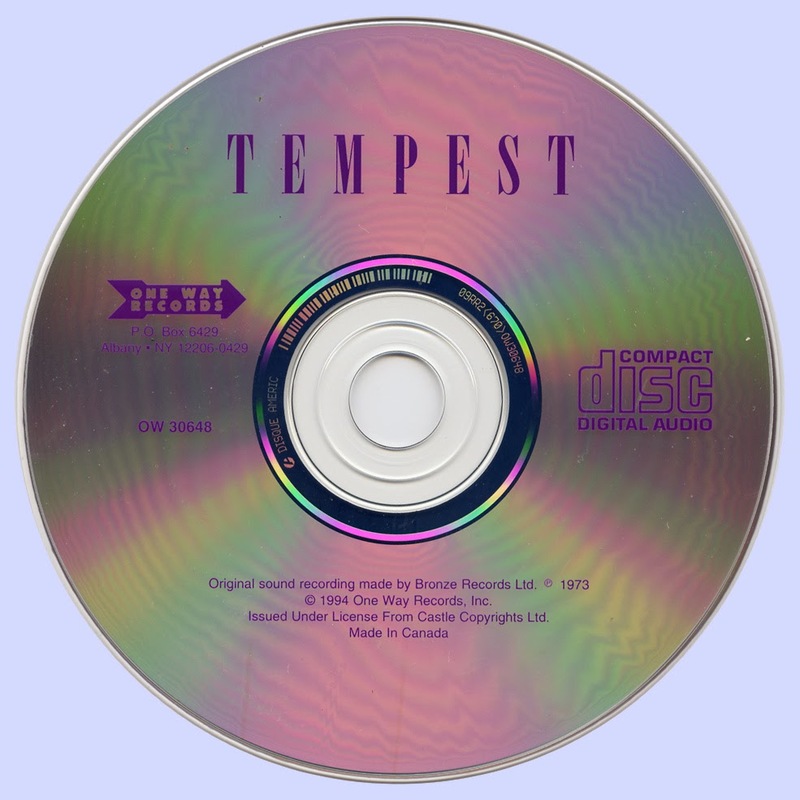 Tempest was an apt name for the band, as their eponymous debut album showed. With Hiseman drumming up a storm and Clarke adopting the wise approach of playing simply but strongly (a flash drummer and a busy bassist never go together), the foundation was laid for Williams and Holdsworth to wail and moan over a series of complex progressive compositions. Thumbing through dollar bins at record shops can be depressing, particularly when the pickings are slim. Plumbing the depths of milk crates jammed with forgotten vinyl, which no longer lie on shag carpets and basement floors, but in mounds that neglect their prior value, that reject what they once might have meant to someone, somewhere, upon their original release, is a real downer. Here lie bands without a myth, un-legendary singers, devalued albums that once topped the charts, last names written in faded Sharpie ink on moldy album covers. Indefinitely, these albums and their memories remain in $1.00 purgatory, doomed to a needle-less existence. 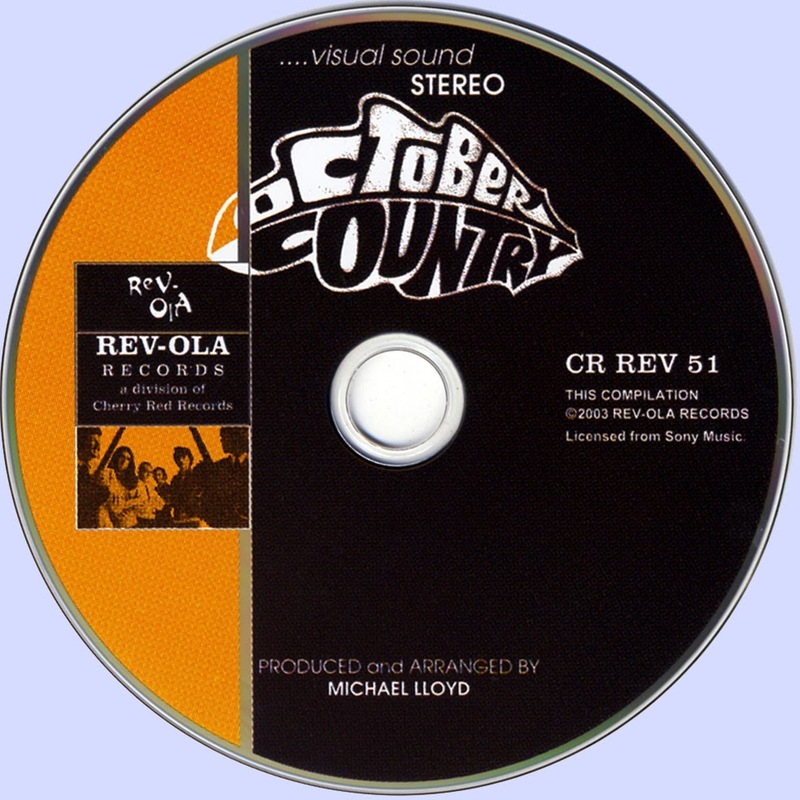 Whereas the quality of the songs leaves something to be desired (Barrel was recorded at Michaels’ California ranch, which features prominently on the cover and jacket art), the spirit of the music-making doesn’t disappoint. Listening pleasure is drawn from the fact that Michaels, along with frequent drummer, Barry “Frosty” Smith, and guitarist Drake Levin of Paul Revere and the Raiders, don’t seem to be taking their jobs too seriously. 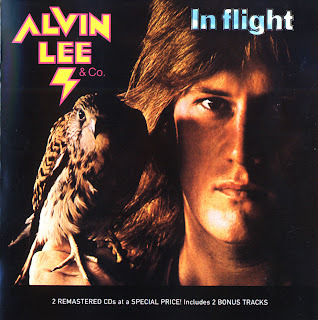 The songs have a one-off feel, and the photo montage on the inside jacket is an awesome monument to stoner-slackerdom—one photo shows Lee feeding a pair of cheetahs on his back deck; another reveals a heavyset Frosty gesticulating, sporting spotted pajama pants. 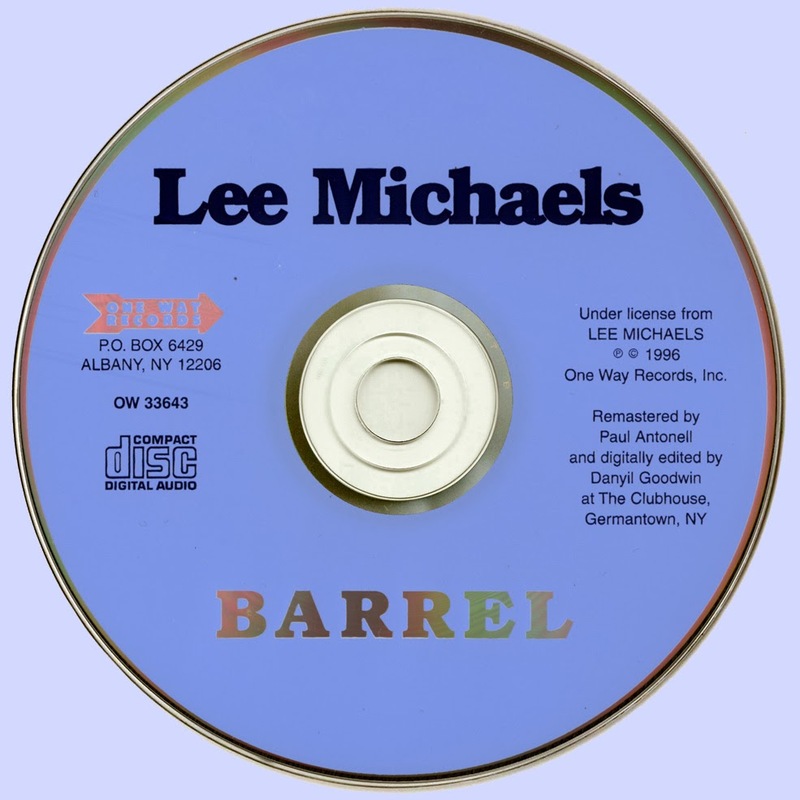 This makes the experience of Barrel not quite a joke, but it does give us license to laugh off its artistic flaws, and forget that overwhelming critical and commercial success are even legitimate criteria of how listening choices are made. Barrel is not trying to be anything more than what it is, and this is a hallmark of all classic good-times music. So if you find a copy of Barrel in a bin somewhere, don’t expect too much, but expect to be amused, bemused, and occasionally, moved. It might have meant something to some lost teenager from the ’70s before it wound up at the bottom of the heap. 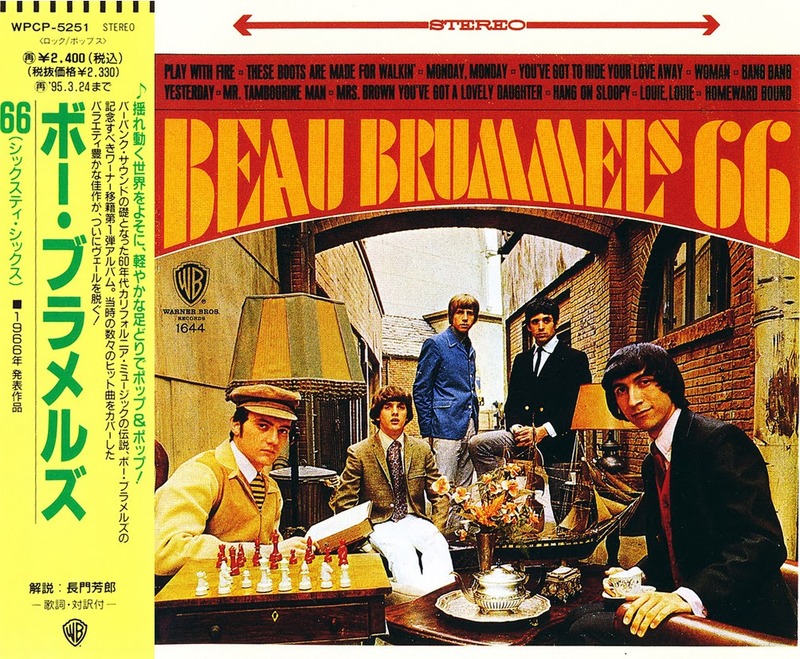 While they only had two big hits, the Beau Brummels were one of the most important and underrated American groups of the 1960s. They were the first U.S. unit of any sort to successfully respond to the British Invasion. They were arguably the first folk-rock group, even predating the Byrds, and also anticipated some key elements of the San Francisco psychedelic sound with their soaring harmonies and exuberant melodies. Before they finally reached the end of the string, they were also among the first bands to record country-rock in the late '60s. The key axis of the band was formed by guitarist/songwriter Ron Elliott, who penned most of the Brummels' moody and melodious material, and singer Sal Valentino, owner of one of the finest voices in mid-'60s rock. 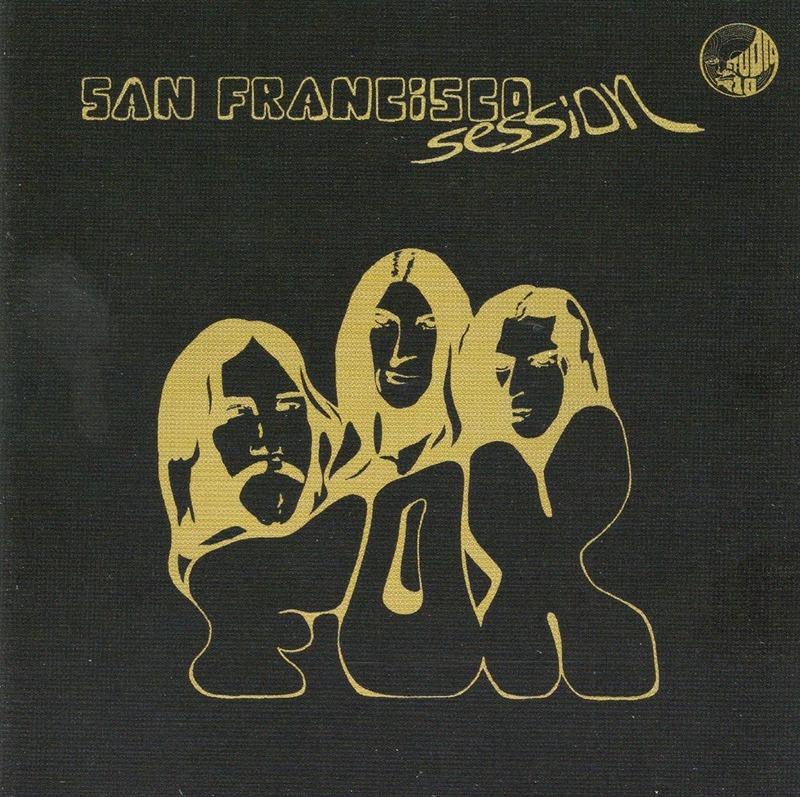 Spotted by local DJ Tom Donahue in a club in San Mateo (just south of San Francisco), the group was signed to Donahue's small San Francisco-based label, Autumn Records, in 1964. With Sly Stewart (later Sly Stone) in the producer's chair, they made the Top 20 right off the bat with "Laugh, Laugh." The melancholy, minor-key original sounded so much like the British bands inundating the airwaves that many listeners initially mistook the Brummels for an English act. The follow-up single, "Just a Little," was another excellent, melancholy number that became their biggest hit, making the Top Ten. 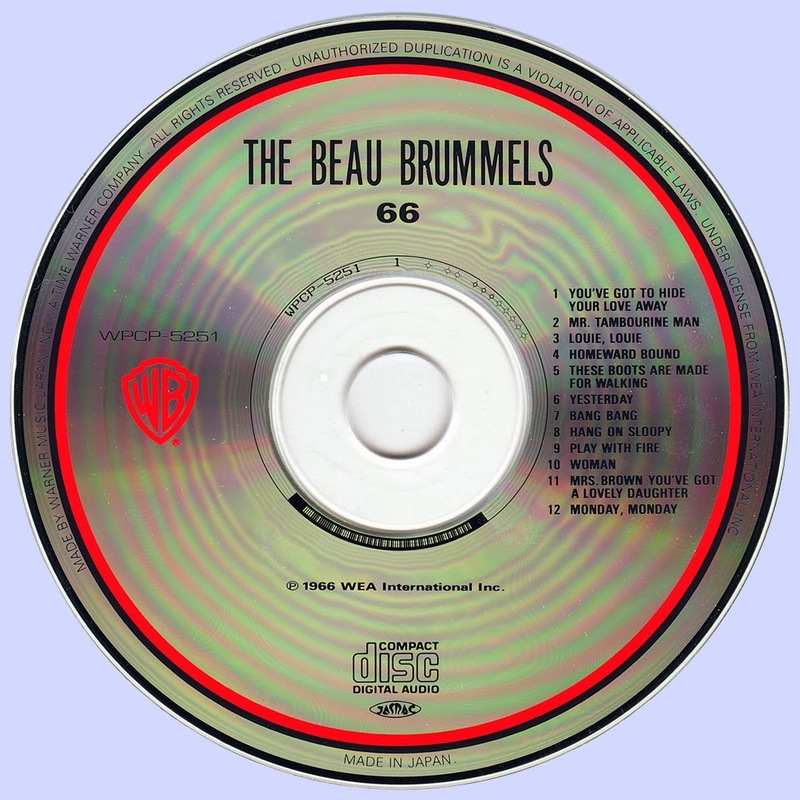 The Beau Brummels made a couple of fine albums in 1965, dominated by strong original material and featuring the band's ringing guitars and multi-part, mournful harmonies. 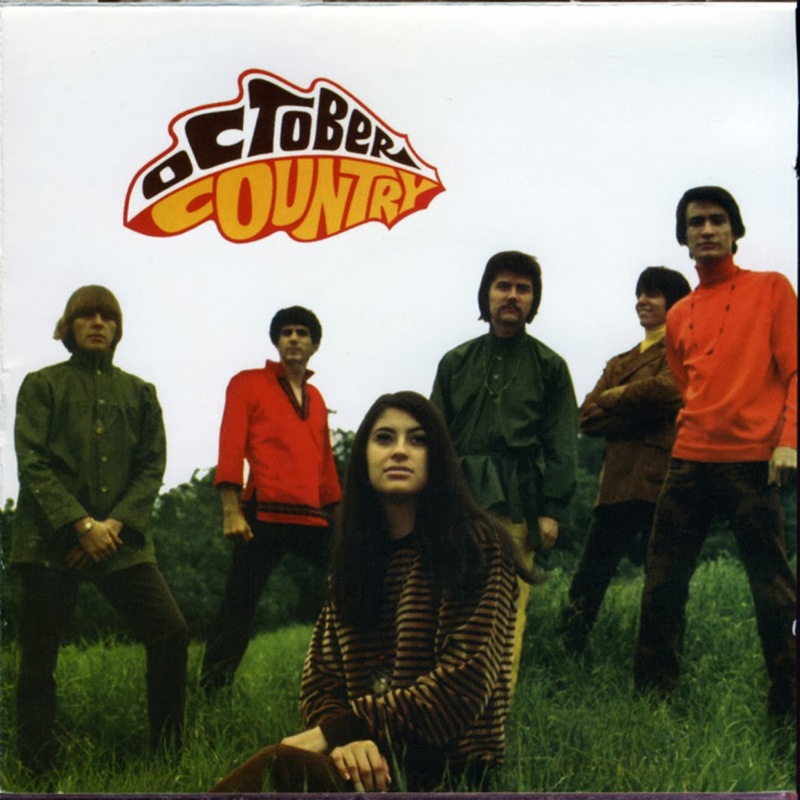 The best of their early work is nearly as fine as the Byrds' first recordings, yet the band was losing ground commercially, partially because Autumn, being such a small label, lacked promotional muscle. "You Tell Me Why" was their only other Top 40 hit, though "Sad Little Girl" and the Byrds knock-off "Don't Talk to Strangers" were excellent singles. The band also shuffled personnel a few times, and Ron Elliott was unable to stay on the road because of diabetes. Autumn was sold in 1966 to Warners, who made the lunkheaded move of forcing the band to record an entire album of Top 40 covers -- ignoring the fact that original material was one of the Brummels' primary fortes. 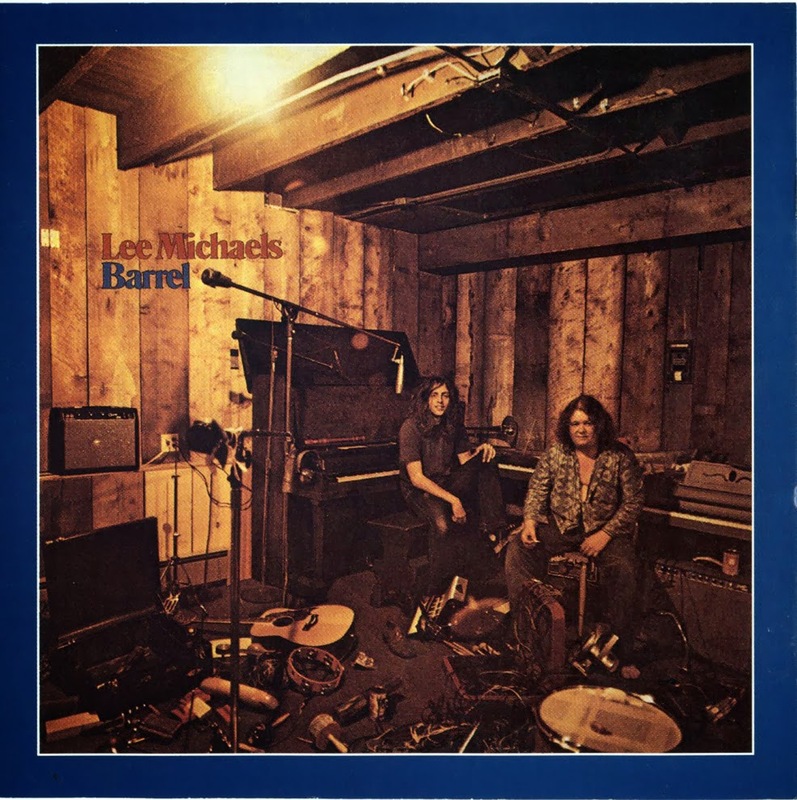 One of the most interesting second-division California psychedelic musicians, keyboardist Lee Michaels was one of the most soulful white vocalists of the late '60s and early '70s. 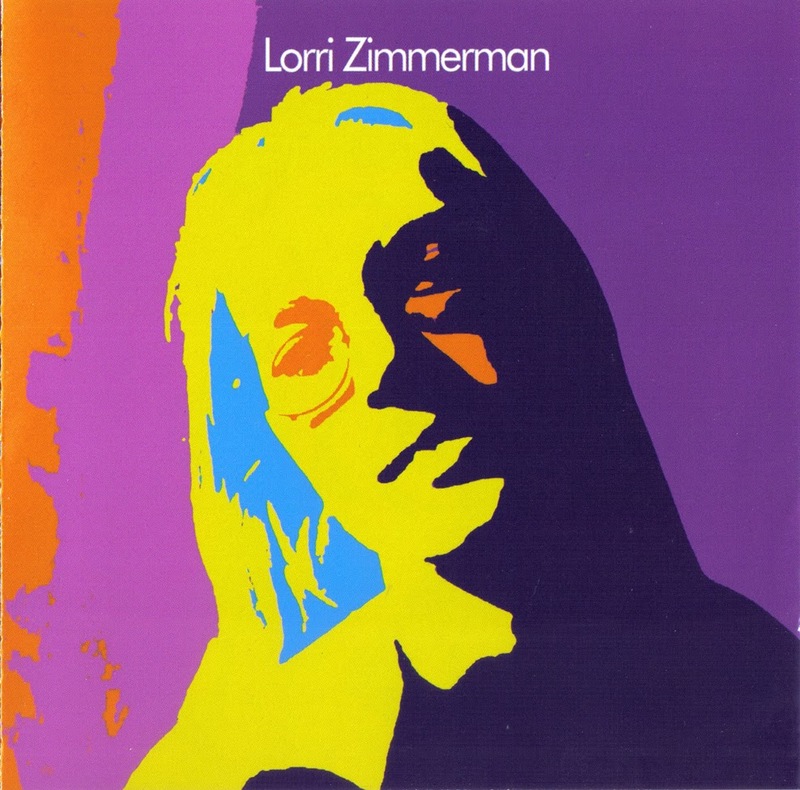 Between 1968 and 1972, he released half a dozen accomplished albums on A&M that encompassed baroque psychedelic pop and gritty white (sometimes gospel-ish) R&B with equal facility. A capable songwriter, Michaels was blessed with an astonishing upper range, occasionally letting loose some thrilling funky wails. In 1971, he landed a surprise Top Ten single with "Do You Know What I Mean," one of the best and funkiest AM hits of the early '70s. But Michaels was really much more of an album-oriented artist, from the time he began recording in the late '60s. Michaels started playing music in Southern California, where he was in a band with future members of Moby Grape, the Turtles, and Canned Heat. By the time he signed to A&M, however, he'd moved to San Francisco, joining the management stable of Matthew Katz (which also included, at various times, Jefferson Airplane, Moby Grape, and It's a Beautiful Day). Michaels was unusual for a San Francisco act in that he relied mostly on an organ-based sound, especially after the first pair of albums, when for a time he played (live and in the studio) with the mammoth drummer "Frosty" as his only accompanist. "Do You Know What I Mean," ironically, was a throwaway tune that Michaels wrote hurriedly. 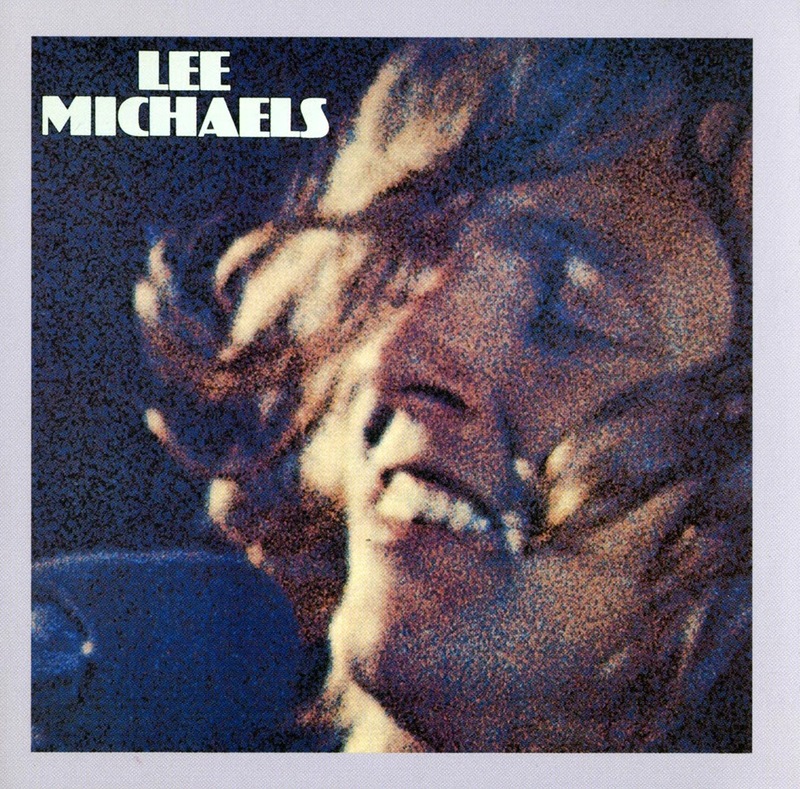 Though Lee himself didn't think much of it, the song was a first-rate blast of blue-eyed soul; around this time, the gospel influence that had often informed his sound came to the fore. 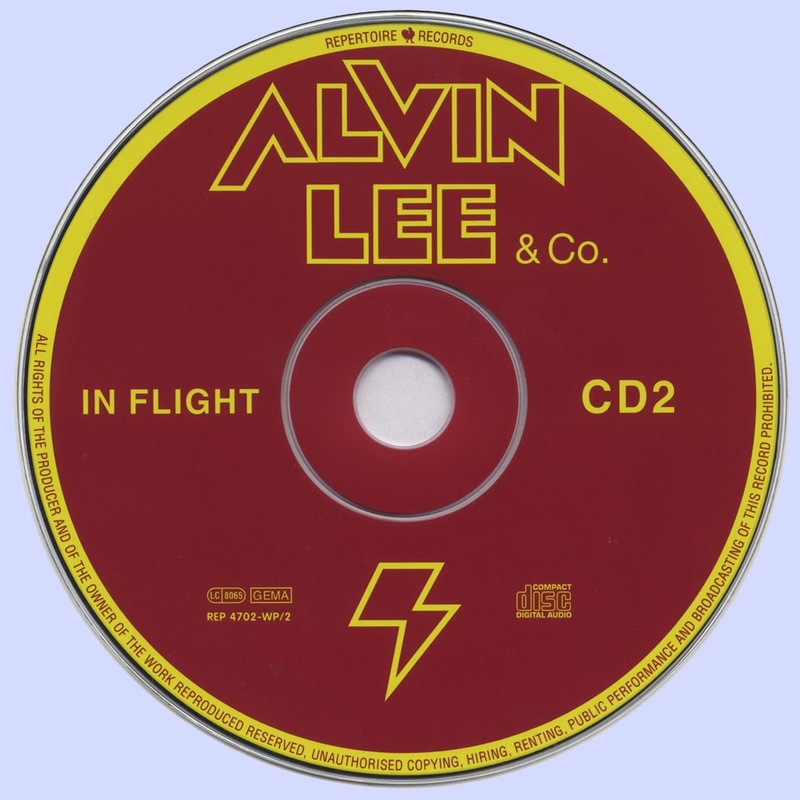 His albums in the mid-'70s for Columbia, however, were both critical and commercial disappointments. Michaels moved to Hawaii for an extended retirement from the music business. 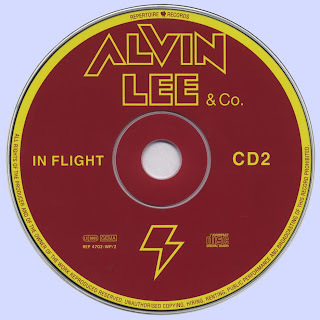 In the early '80s he announced the forthcoming independent release of a new solo album entitled Absolute Lee, which finally saw distribution through One Way Records in 1996; however, little has been heard from him since. One of the masterpieces of the period, Lee Michaels was essentially recorded live in the studio by only Michaels (organ/bass pedals) and Frosty on drums. It's a fabulous performance and one of the finest R&B/rock sets of the period. The first side is comprised of a medley of soulful workouts that come out sounding not unlike Led Zeppelin. Here, Michaels pulls out all the stops (literally) and showcases the organ as a bona fide rock instrument. Despite the lengthy drum solo, it's one of the finest sides of Los Angeles rock & roll. 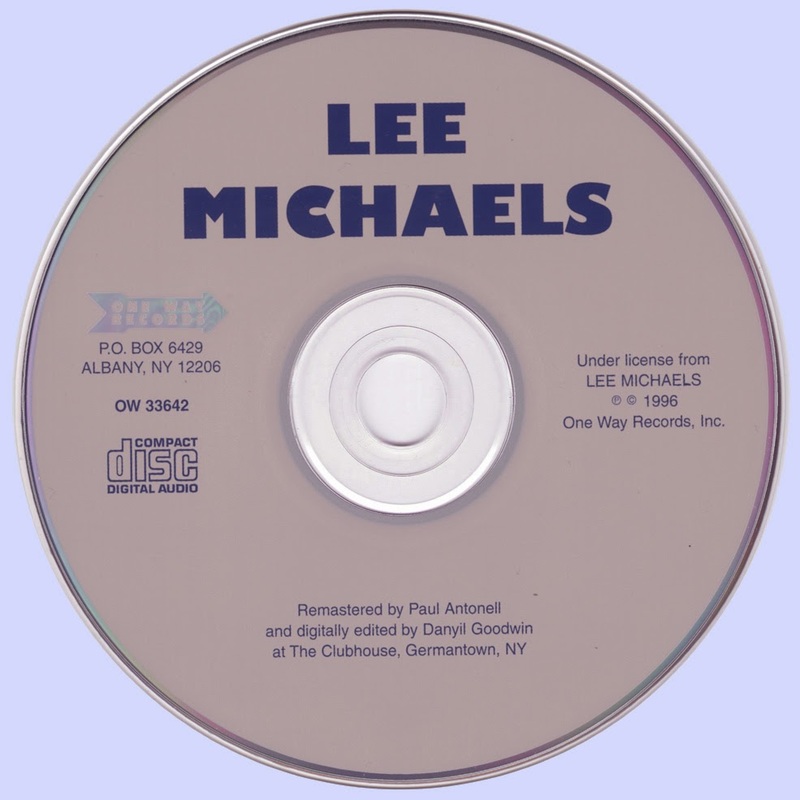 Michaels also reprises "My Friends," a song from his first album, to great effect. Lee Michaels is also home to the good-time, pro-drug anthem "Highty Hi," as well as an awesome cover of "Stormy Monday." A true party platter. 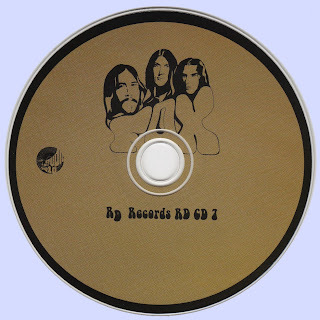 An unreleased album from this post "Day Blindness" band, recorded in 1969/70. 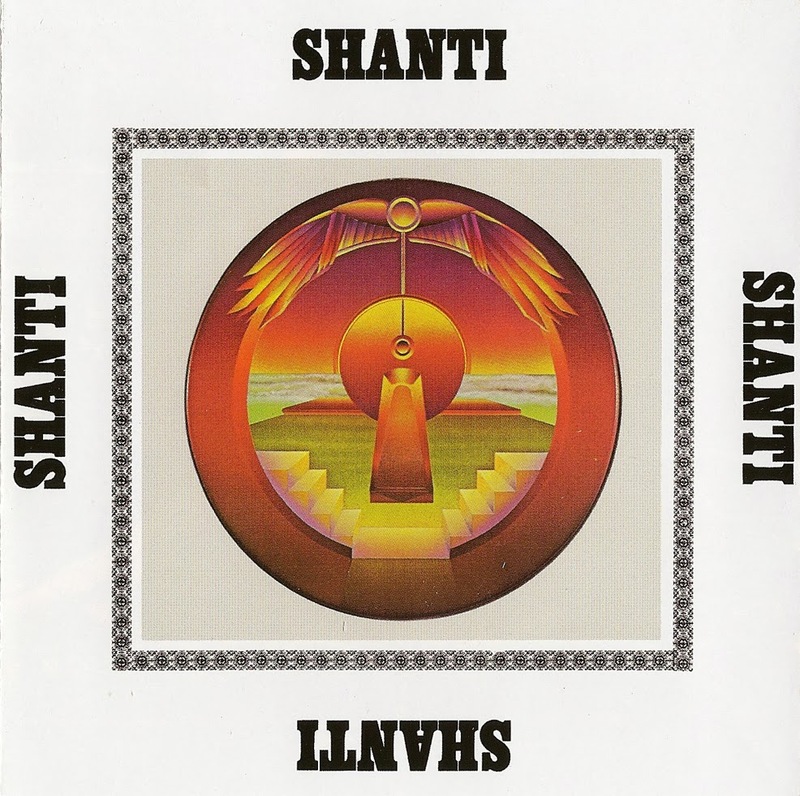 This album is a heavy bluesy psychedelic masterpiece of the highest order. It is virtually the second "Day Blindness" album with slight personal changes, but musically in a more heavy psychedelic direction. The lead guitarist Gary Pihl is well known today for being the guitar player of Boston. Here he plays an amazing psychedelic guitar and it reminds us in parts of the mighty Mariani's "Perpetuum Mobile" album. 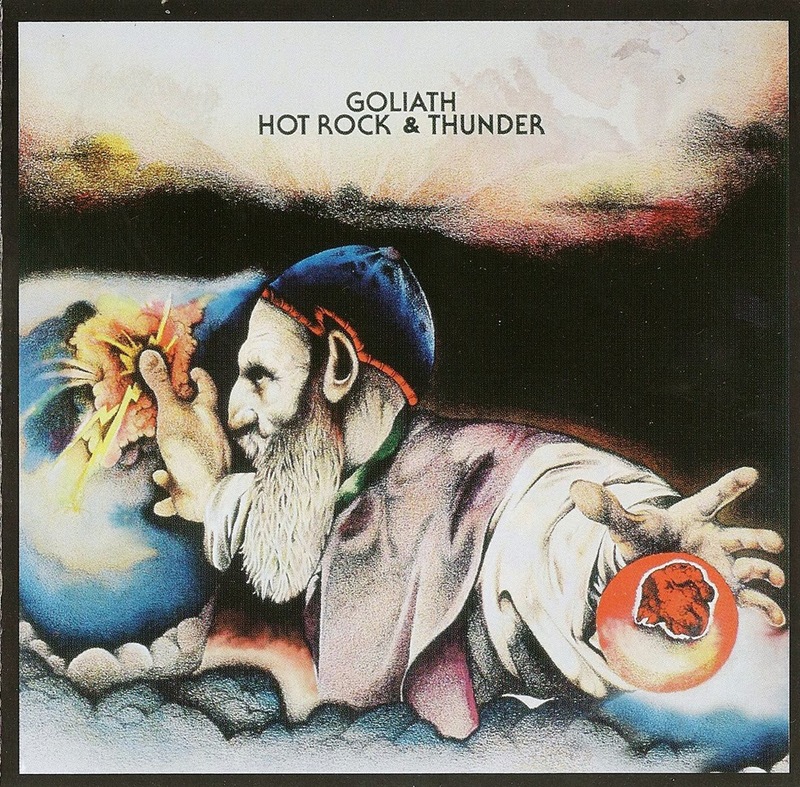 Superb bass guitar by Johnny V. Vernazza and crazy drums by Roy Garcia, who later went to play with the legendary band Gold (of Rockadelic Records fame!). Only one 45 single was ever released of those fantastic sessions on "Studio 10", and the single is mega rare these days. Despite being the premiere of heavy metal, Jeff Beck's Truth has never quite carried its reputation the way the early albums by Led Zeppelin did, or even Cream's two most popular LPs, mostly as a result of the erratic nature of the guitarist's subsequent work. 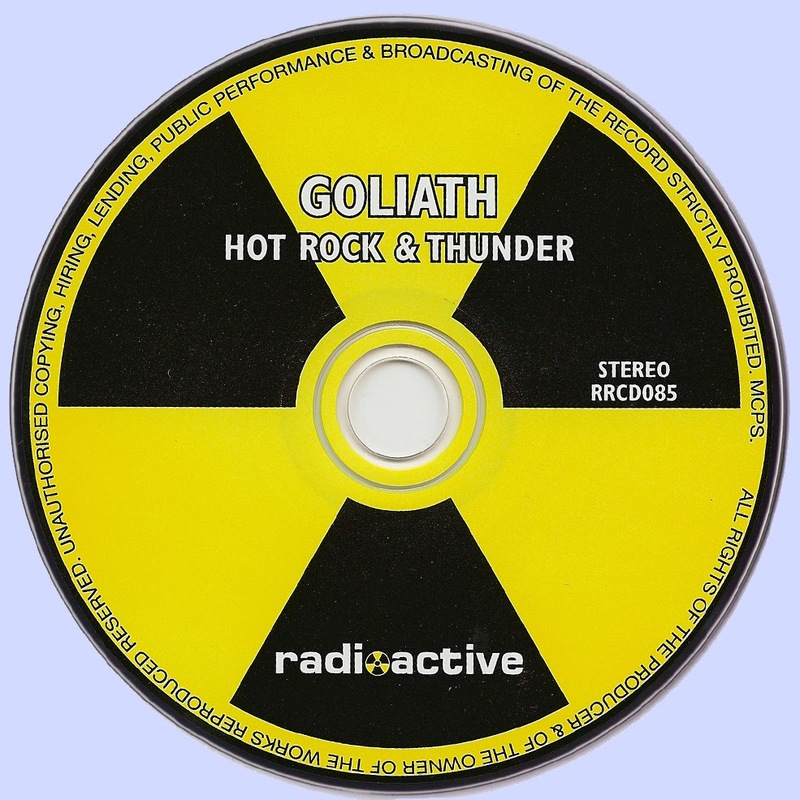 Time has muted some of its daring, radical nature, elements of which were appropriated by practically every metal band (and most arena rock bands) that followed. 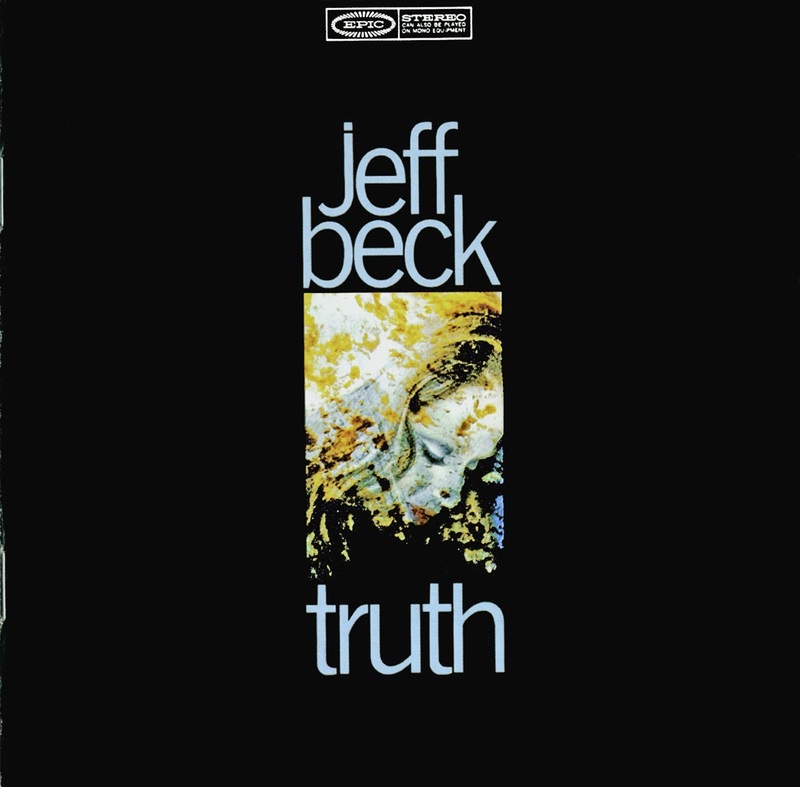 Truth was almost as groundbreaking and influential a record as the first Beatles, Rolling Stones, or Who albums. Its attributes weren't all new -- Cream and Jimi Hendrix had been moving in similar directions -- but the combination was: the wailing, heart-stoppingly dramatic vocalizing by Rod Stewart, the thunderous rhythm section of Ron Wood's bass and Mickey Waller's drums, and Beck's blistering lead guitar, which sounds like his amp is turned up to 13 and ready to short out. 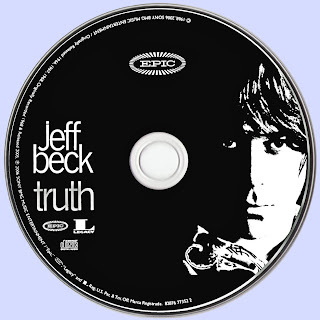 Beck opens the proceedings in a strikingly bold manner, using his old Yardbirds hit "Shapes of Things" as a jumping-off point, deliberately rebuilding the song from the ground up so it sounds closer to Howlin' Wolf. 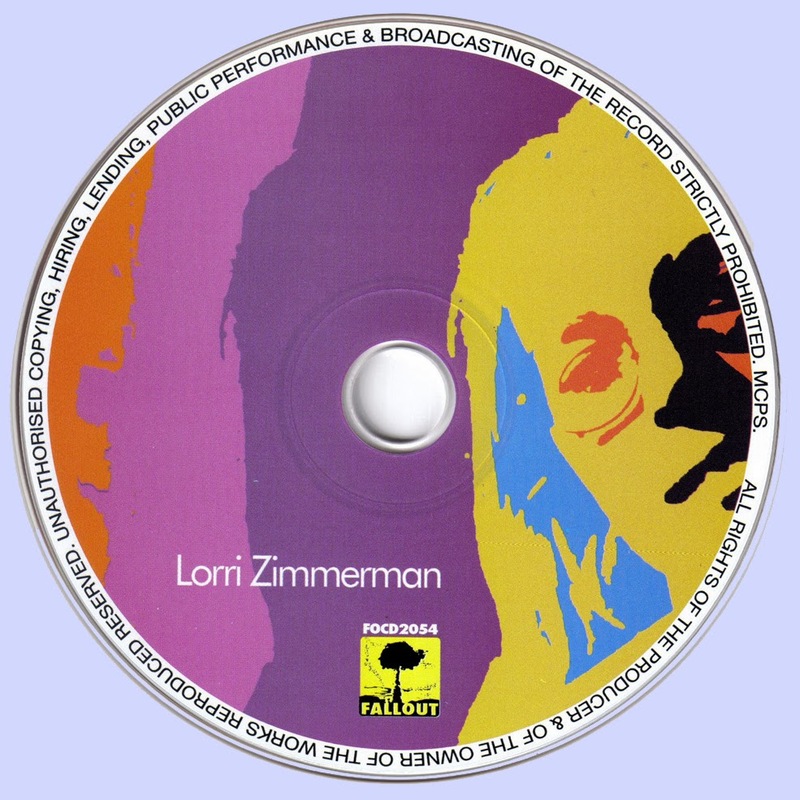 There are lots of unexpected moments on this record: a bone-pounding version of Willie Dixon's "You Shook Me"; a version of Jerome Kern's "Ol' Man River" done as a slow electric blues; a brief plunge into folk territory with a solo acoustic guitar version of "Greensleeves" (which was intended as filler but audiences loved); the progressive blues of "Beck's Bolero"; the extended live "Blues Deluxe"; and "I Ain't Superstitious," a blazing reworking of another Willie Dixon song. 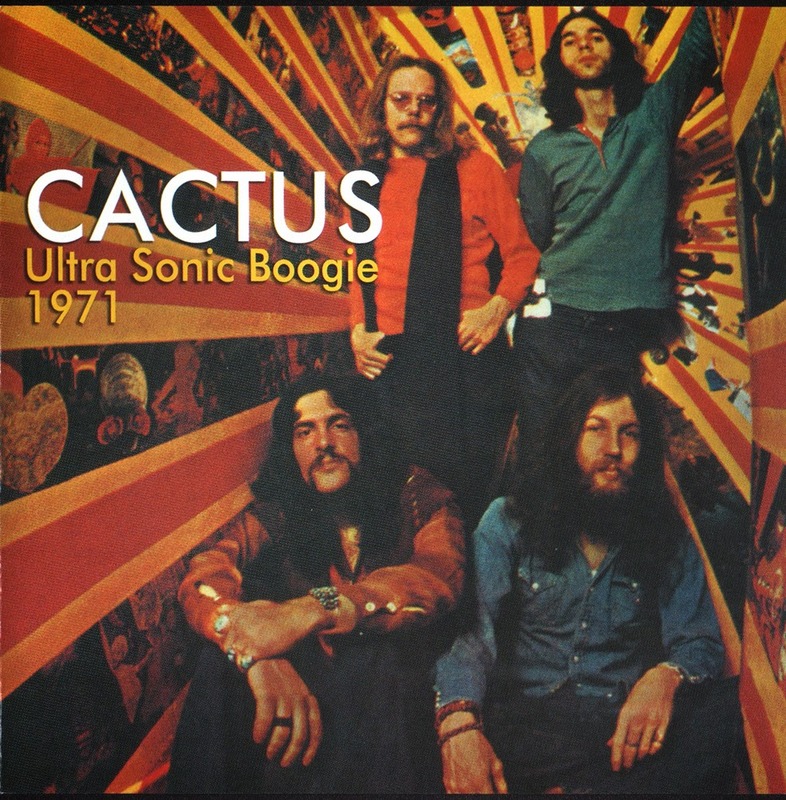 It was a triumph -- a number 15 album in America, astoundingly good for a band that had been utterly unknown in the U.S. just six months earlier -- and a very improbable success.